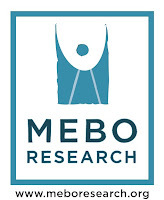 As a NORD member organization, MEBO has signed on to a NORD coalition letter in support of the Advancing Targeted Therapies for Rare Diseases Act (S.2030). As background, this is bill is a result of the efforts of Parent Project Muscular Dystrophy (PPMD), the Muscular Dystrophy Association (MDA), Duchenne Alliance, and more within the rare disease patient advocacy community. This is particularly important to drug development for patients with diseases that contain various genetic sub-populations. This is also important for diseases that may be genetically related to other diseases, and could potentially benefit from drug development in those other diseases.